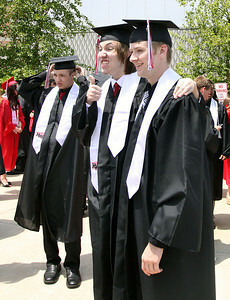 Jeff Krage for the Northwest Herald Huntley High School graduate's Danny Stock, right, and Ryan Himebaugh pose for a picture outside the Sears Centre before the start of Saturday's ceremonies. Jeff Krage for the Northwest Herald Huntley High School graduate Kelsey Seitz, center, hugs Aryanna Burgos, left, and Kayla Linthicum outside the Sears Centre before Saturday's ceremonies. 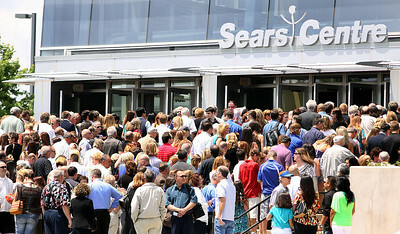 Jeff Krage for the Northwest Herald Families and friends of Huntley High School graduates wait to enter the Sears Centre on Saturday. 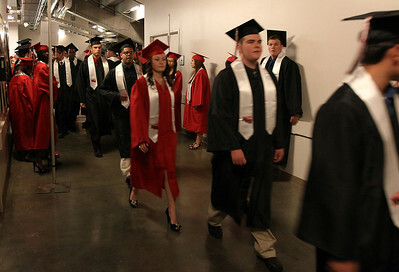 Jeff Krage for the Northwest Herald Huntley High School graduates head toward their respective positions inside the Sears Centre before Saturday's ceremonies. 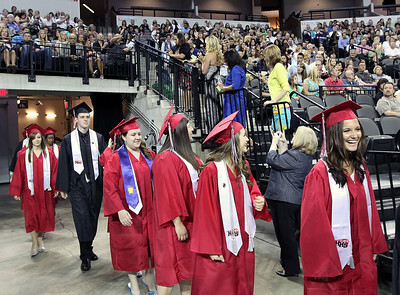 Jeff Krage for the Northwest Herald Huntley High School graduate Gabriela Nowak has her cap adjusted outside the Sears Centre before Saturday's ceremonies. 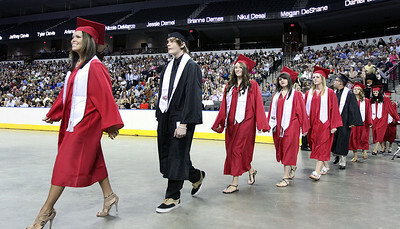 Jeff Krage for the Northwest Herald The Huntley High School processional at the Sears Centre during Saturday's graduation ceremonies. 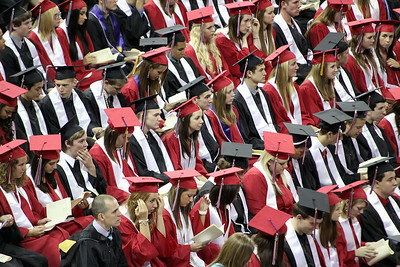 Jeff Krage for the Northwest Herald Huntley High School graduates in their seats at the Sears Centre during Saturday's graduation ceremonies. 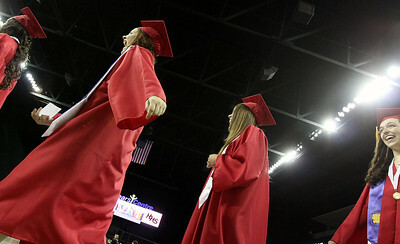 Jeff Krage for the Northwest Herald The Huntley High School graduation Saturday at the Sears Centre. 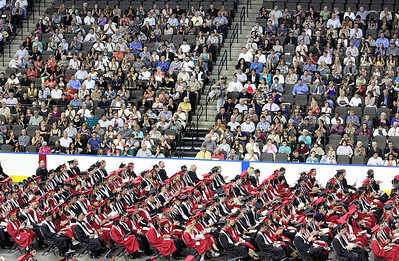 Huntley High School graduates in their seats at the Sears Centre during Saturday's graduation ceremonies.